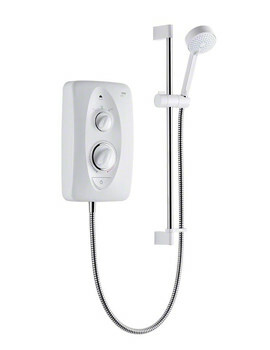 This high quality Electric Shower from Mira will help you release your stress with a relaxing shower. 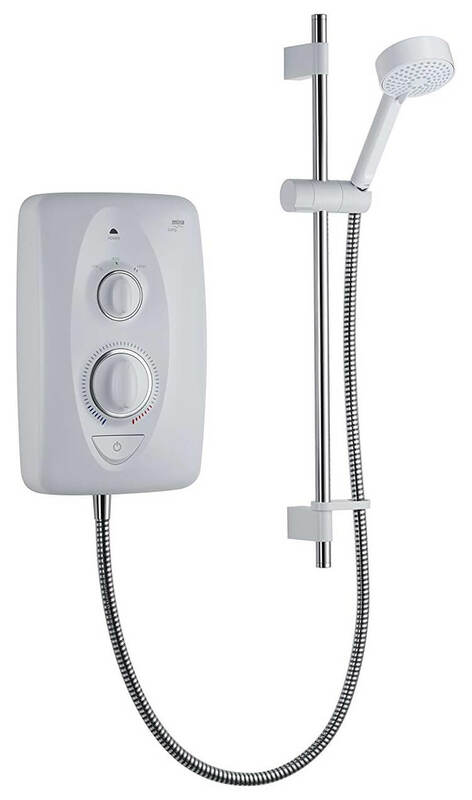 The temperature control is provided to maintain your showering temperature without any difficulty. 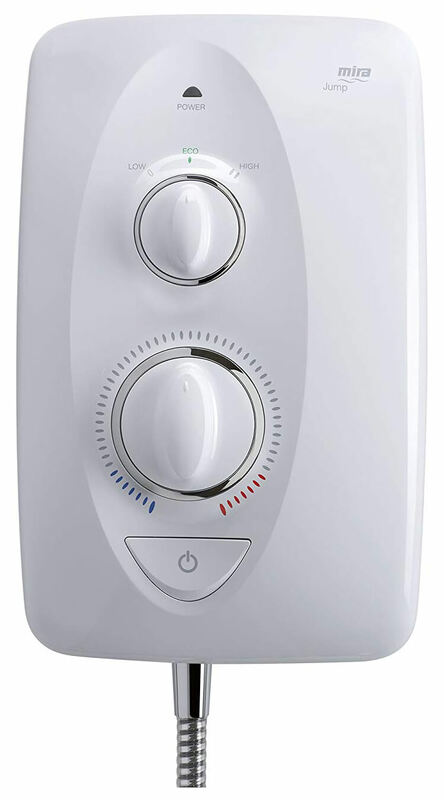 It comes with separate control for both power and temperature along with simple push button activation. 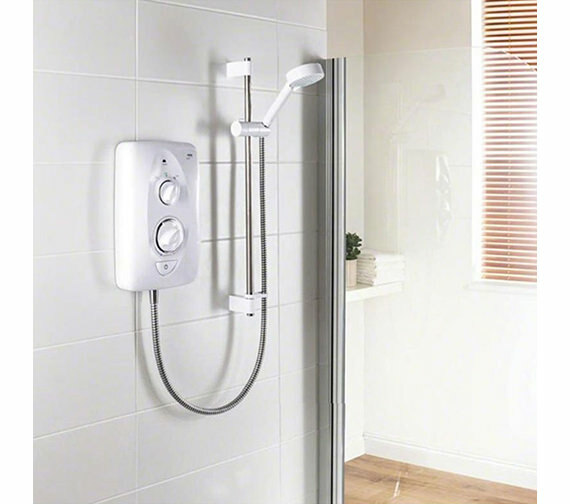 The shower head includes four different spray patterns and thanks to its, Rub clean nozzle you can easily remove lime scale build-up. For a quick and easy connection, the product is supplied with moveable terminal blocks on the left and right side. Please refer Installation guide PDF from below for instructions. 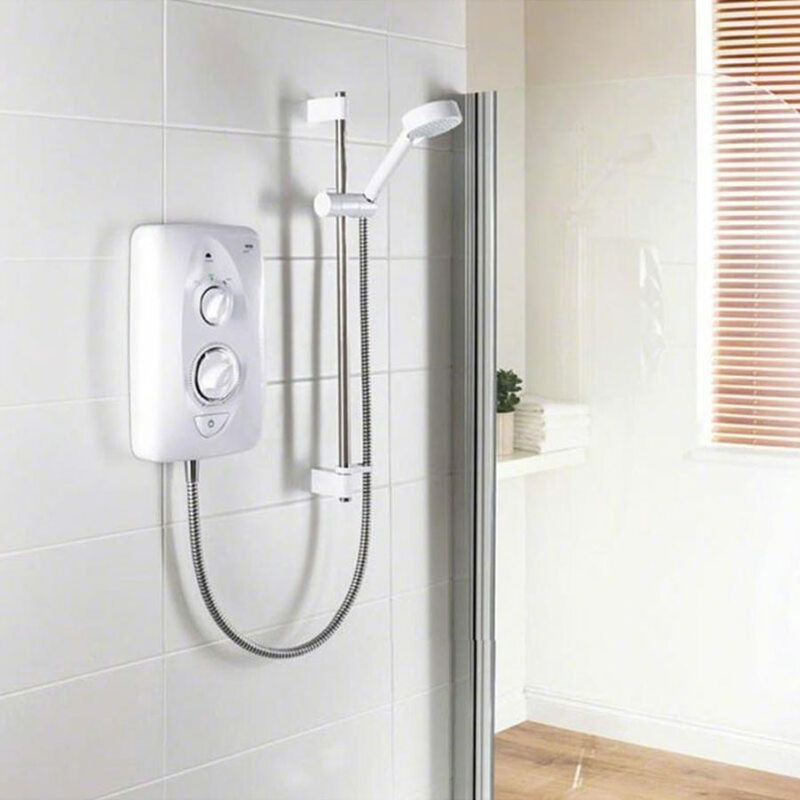 There would be no problem fitting the valve in an airing cupboard as long as it is easily accessible for any possible maintenance or repairs. 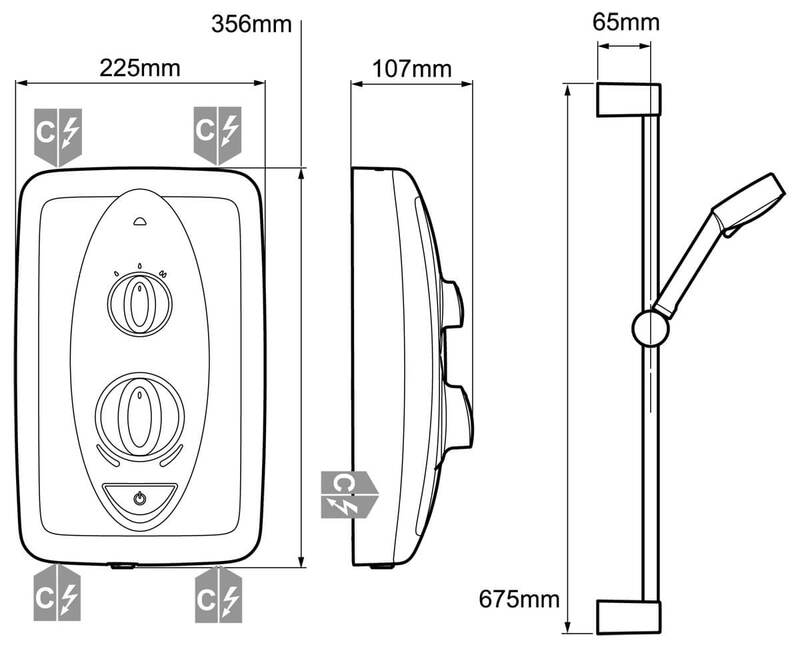 Please find attached the user guide for more installation info.